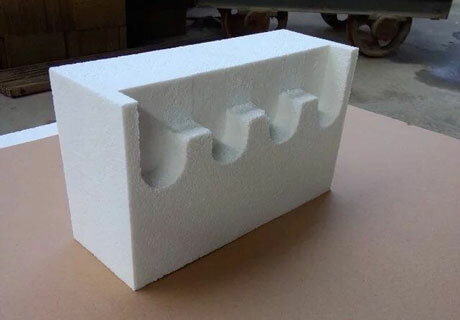 Alumina Bubble Brick for sale in Rongsheng Refractory is manufactured with alumina bubble and alumina powder as the main raw materials and other binding agents mix through firing at high temperature of 1750℃, which is a kind of super high temperature energy saving and heating insulation materials. 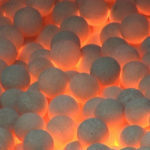 Alumina Bubble Bricks are mainly used for blast furnace linings to resist super high temperature and prevent heat waste. Alumina Bubble Brick is a new type high temperature heating insulation materials and made of industrial alumina in the electrical furnace through smelting and blowing. Alumina Bubble Bricks’ crystal form is a-Al2O3 microcrystal and main body is alumina bubble that can be made to be all kinds of products with various shapes for serving the highest temperature of 1800℃ with high mechanical strength and low bulk density. Alumina Bubble Brick is used for super high temperature furnace such as gasifier in Petrochemical Industry, reacting furnace in Carbon Black Industry, electric induction furnace in Metallurgical Industry to resist all kinds of high temperature erosion. 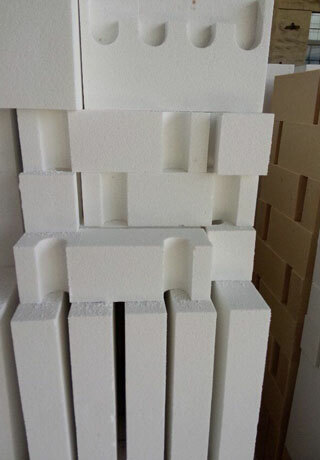 Alumina Bubble Brick is a kind of very important refractory material for resisting high temperature and special demands of positions for furnace and kiln, which is mostly used as insulating brick for insulation layer of furnace and kiln, and also can be used for service linings in manufacturing high-purity quartz for the electronics industry such as ceramic tile linings in gas turbines and backup linings in reactors. There are five steps for manufacturing alumina bubble brick that through mixing, moulding, drying, firing and final product. Alumina Bubble Brick plays a great performance on furnace and kiln application such as reducing the weight of furnace body, saving materials and saving energy. Alumina Bubble Bricks’ service temperature is high up to 1750 ℃. The thermal stability is good and the reheating linear change rate is low, which result the long service life. Nowadays, generally adopt high weight brick body of high temperature refractory materials with 2.6~3.0g/cm bulk density. 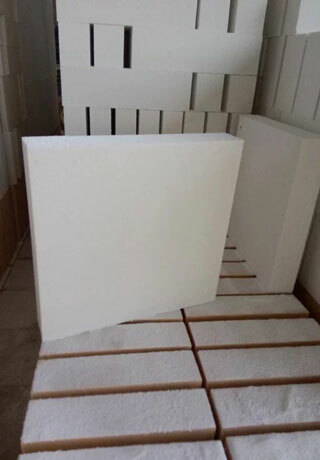 But the alumina bubble brick’s bulk density is only 1.1~1.5g/cm, which result that using alumina bubble bricks can reduce about 1.1~1.9 tons weight at one cubic meter bulk. When reaching the same service temperature, if use high weight brick that have the similar price with alumina bubble brick and need the another insulation refractory materials for insulating layer of furnace and kiln. If directly use alumina bubble brick, which will save 1.1~1.9 tons usage amount of high weight brick and also can save 80% refractory insulation materials. Alumina bubble brick has the features of heat insulation and low thermal conductivity, which can result the great heat insulating effect, reduce heat waste and improve thermal efficiency. 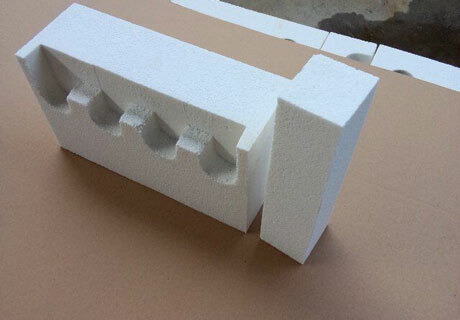 Using Alumina bubble brick can save energy high up to 30%. Rongsheng Refractory as a professional Alumina Bubble Brick Manufacturer has been insisting on manufacturing high quality Alumina Bubble Bricks for more than 20 years, which is try to provide customers with the qualified products at low price and also can customize various shapes of Alumina Bubble Bricks according to customers’ special requirement for furnace and kiln application.